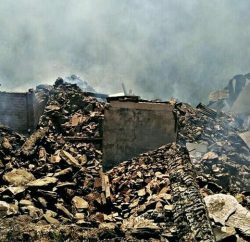 In a drastic fire incident at Chichwadi village in Rohal Panchayat in Rohru, Shimla , about 80 houses were brunt. As many as 61 families were directly affected and 13 partially affected by the grusome fire. About 250 cattle have been reported burnt alive in the accident. M. R. Dhiman SDM, Rohru along with rescue and medical team rushed to the spot. He announced Rs 2 lakh as relief to the affected families on the spot. Ration for 15 days, utensils and 150 blankets were distributed to the affected people. 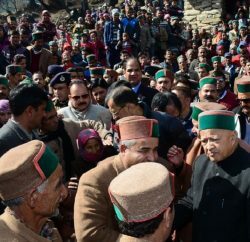 The Chief Minister has directed the officers to expedite the relief measures and rehabilitation work.